The last posuk in this weeks parsha says וַיַּ֥עַשׂ אַהֲרֹ֖ן וּבָנָ֑יו אֵ֚ת כָּל־הַדְּבָרִ֔ים אֲשֶׁר־צִוָּ֥ה יְהוָ֖ה בְּיַד־מֹשֶֽׁה. Aharon and his sons did everything that Hashem commanded them to do, through Moshe. Since Aharon and his sons were Tzadikim, we expect them to do everything they were instructed to do.Why then, does the Torah need to tell us that Aharon and his sons did as they were told? Rashi points out, it is teaching us their greatness, as they did not go ימין ושמאל “to the right or left" they did every detail exactly as Moshe told them regarding the complex laws of bringing these korbonos, and did not question, disagree, or change anything told to them (Siftei Chachomim). Although the Avodah in the Mishkan was hard they did it with devotion, excitement and happiness as if they heard the instructions from Hashem himself.This teaches us a an important lesson about having אמונת חכמים. We should trust the Gedolim, Roshei HaYeshivot, and Poskim of our generation when they instruct us with different Halachot and keep them with happiness and love just as if Hashem is talking to us directly. 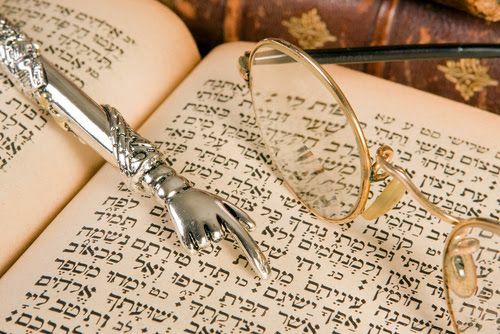 Also, when a Jew is facing a challenge or has an important question, he can always consult a Rabbi in order to get the best answer that follows the Torah derech.Once we are instructed by the Rabbi, we should not question his decisions even if we don’t understand them fully. On a personal note, when my oldest son was four he got hurt on the playground and broke his arm. He had a cast for about three weeks, but unfortunately his arm was not healing well. In our city Nahariya, there is a very big Tzadik, Rabbi David Abuchatzeira, and we used to get his Bracha and consult him about different issues. We decided to take our son to our Rabbi and get his blessing. The minute the Rabbi saw my son he said that he should go to the hospital and have a surgery in order to fix the problem. When we got to the hospital the doctors confirmed exactly what the rabbi has said. May we always have אמונת חכמים!